"Sampath Speaking" - the thoughts of an Insurer from Thiruvallikkeni: Mitchell Johnson shatters glass and peace ... posting of video costs a place !! 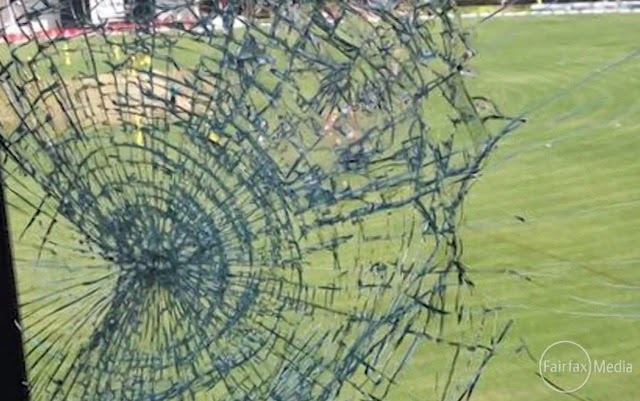 Mitchell Johnson shatters glass and peace ... posting of video costs a place !! Are you on WhatsApp …. Do you post messages and videos – ever wondered what will happen if your Manager were to see that ??? At Harare, Prosper Utsaya, the offie is on a roll….including a hat-trick - the wickets of Quinton de Kock, RR Rossouw and DA Miller ….and 5 of the 6 wickets to fall .. taken in 9 overs….. do you know who took the first hattrick in ODIs ? It is the landlocked country in Southern Africa between the Zambezi and Limpopo rivers, formerly known as Southern Rhodesia (1923), Rhodesia (1965), and Zimbabwe Rhodesia (1979). The first recorded use of "Zimbabwe" as a term of national reference was in 1960, when it was coined by the black nationalist Michael Mawema. Its Capital is Harare and de jure sovereignty from the United Kingdom in April 1980, following 14 years as an unrecognised state under the conservative white minority government of Rhodesia, which unilaterally declared independence in 1965. Zimbabwe has 16 official languages, with English, Shona and Ndebele being most common. The State is in turmoil and its economy is turbulent. Cricket in Zimbabwe was a crisis that lasted mainly from 2003 to 2007 where player withdrawals such as the "Black-armband protest" by Andy Flower and Henry Olonga along with a mass loss of players in 2004 due to a general strike resulted in very poor performances by the national team. Economic crisis and dollarisation has taken the economy from difficult times to a new kind of security, which has still left many ordinary people struggling to keep up with increased prices. In 1983, in that famous World Cup – they shocked a star studded Australia and then reduced India to 17/5 when Kapil played that immortal knock ….. they were great fielding side and remember seeing Kevin Curran’s fielding prowess at Chepauk way back in 1987, when he stood at short cover and stopped more than couple of full-blooded drives of Geoff Marsh and Alan Border. In that match in 9th June 1983 was played the match Trent Bridge, Nottingham – a match, which Australians would love to forget. Batting first the minnows made 239; it was the present Indian Coach – Duncan Fletcher captaining them – made 69 off 84 balls. Those were 60 overs aside; the situation and the game was played was much different than what you comprehend from present day T20. Dennis Lillee had figures of 12-1-47-2 and Jeoff Thomson 11-1-46-0. Chasing 240 in 360 deliveries, Australians crawled making 226 for 7 in 60 overs at rate of 3.76 runs per over ~ and perhaps the grumpy Duncan smiled !! Now the Zimbabwean in news is their coach Stephen Mangongo who has denied excessive heavy handedness in the suspension of a player from the national squad. That bowler will not feature in the remainder of the triangular series against Australia and South Africa after what ZC's press release described as "indiscipline" and what Mangongo explained as being "unacceptable by any stretch of the imagination." Mitchell Johnson's path of inadvertent destruction is haunting Zimbabweans ……….his huge six off Panyangara shattered the commentary box sending Neil Manthorp and Pommie Mbangwa scurrying for cover ~ and more importantly his video of short-pitched barrage sent a player out of the National side. In what must rank as one of the harshest firings in cricket history, Zimbabwe fast bowler Tinashe Panyangara was charged for sharing a video (of Johnson in action against England during last Ashes) with teammates on Whatsapp chat. Sending around the video of Johnson's bouncers, and implying Zimbabwe's batsmen might be in for a tough time against the quickest man in world cricket, has been deemed worthy of a $US1000 ($A1082) fine and being stood down for the rest of the tri-series. The man to suffer Tinashe Panyangara who has played 6 Tests and 34 Onedayers has been dropped as a disciplinary action. Zimbabwe Cricket issued an official statement which made no mention of the reasons for Panyangara's punishment, however it said the team's disciplinary committee had found the side's most experienced seamer "disruptive in the build-up to the first ODI of the triangular series". It's not the first iron-fisted decision made by Zimbabwe coach Steve Mangongo in recent times. 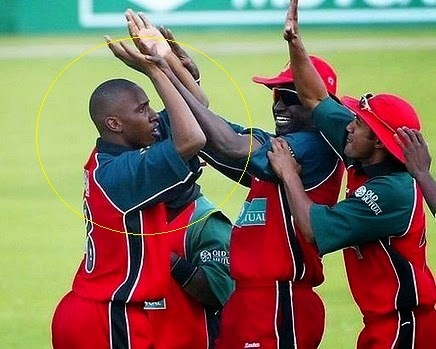 He dropped Luke Jongwe for breaching team curfew and the team's best player Brendan Taylor for an unexplained reason. Mangongo reportedly sets a tight 9.30pm curfew for Zimbabwe players and doesn't let them consume alcohol. The tall allrounder’s posting was concluded a crime by the coach who is reported to have stated that "In any sport, to post a video of the opposition annihilating another team will not be tolerated. I was perplexed that a senior bowler behaved in such a childish manner," Mangongo told ESPNcricinfo. Mangongo is quoted as saying that Panyangara had "not been banned and could be back after the tri-series and added that we have eight other bowlers so we are not worried of who comes in or who goes out. Have we ever heard any such strong statement or seen firm action from our Coach or the Board !!! …… Jalal-ud-din was the first bowler to take a hattrick in ODI – In Sept 1982 at Hyderabad against Aussies – the victims being Rodney Marsh, Bruce Yardley and Geoff Lawson.